Medea's NY and Northampton Roadtrip! 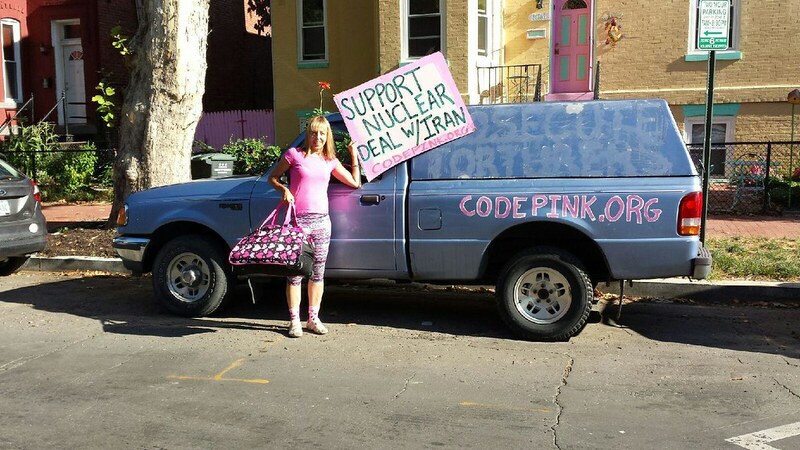 Today Medea Benjamin, co-founder of CODEPINK and author of Drone Warfare: Killing by Remote Control, set off to New York for an event-filled weekend! She will be speaking about the Iran nuclear deal and other diplomacy actions in Oneonta, NY on Thursday, August 13th at 7:30 PM at the Unitarian Universalist Society of Oneonta (12 Ford Avenue) with a reception to follow. No ticket or registration necessary. Come say hi! Then Medea will be in Fonda, NY on August 14 and 15 speaking at the at the Kateri Tekakwitha Peace Conference, Truthtellers: Radical Honesty in the Age of Deception. She will be on a panel during the Friday evening session between 7-9pm, and at multiple sessions on Saturday. You can check out the full schedule and buy tickets on the peace conference website! Finishing up in New York, Medea will be joining the Middle East Crisis Response in Woodstock, NY Saturday night from 7-9PM. She will be speaking about "Winning Peace with Iran" at Woodstock Town Hall (76 Tinker Street). No ticket or registration needed for this event. Finally, Medea be speaking at First Churches (129 Main St) in Northampton, MA on Sunday, August 16th at 4 PM! She will be talking about "The Axis of Diplomacy: Cuba, Iran and North Korea" with a Q&A to follow. No ticket or registration necessary. She would love to see you there! P.S.- Help us promote Medea’s speaking tour!